I am back with another review post from The Body Shop. I am sure a lot of you have already heard about this brand. Yes, The Body Shop are well know for their animal-cruelty free policy as well as their natural ingredients products. My first encountered with The Body Shop was limited to their body butter, hand cream, and other body products. But few years ago I started to notice their make up products, which is a not-so-wide range of collection because it was intended for basic make up. One of the product The Body Shop team always continue to make is blush products. And the one that I just received was Baked-To-Last Blush. I was so excited to get this blush because 1. I am in a mission to get a new blush, and 2. I never tried any The Body Shop Blush. So getting this blush feels like a I just won a bingo, or lets just said I was very happy. So back to the business, Baked-To-Last Blush is basically a blusher and a highlighter in a duo palette. Because it's baked, it has a dome shape and contains shimmers. It's claimed to lasts up to eight hours, which is amazingly true, because I tried it my self. 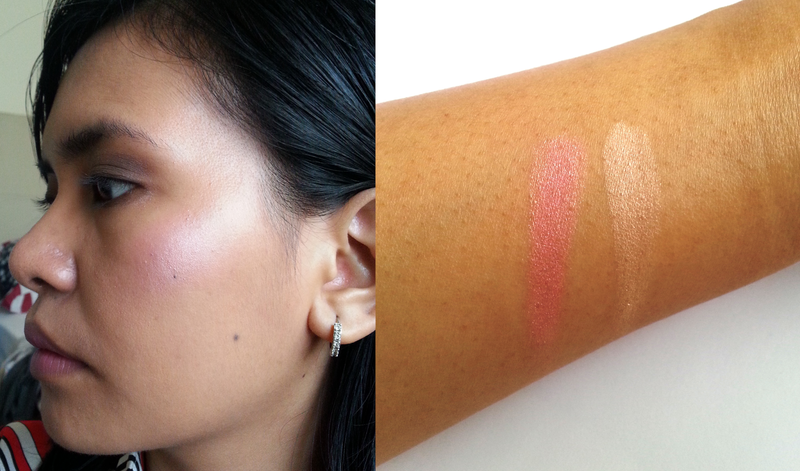 The texture of this blush is as smooth as you can expected from a baked blush. So I would say it's smooth but it is not buttery smooth, if you know what I mean. When it comes to color, Baked-To-Blush has the loveliest and sweetest color. If it has a taste, I would say it tastes like a candy. You can use the light shade for highlight on your cheek bone and brow bone, and the pink shade for the apple of your cheek, or like how I always do it, I just swirl my brush into both color and create the nicest shimmering pinkish flush on my cheek. I've read in other reviews, many people find this color is not really suited their dark skin tone. I can see why they said that, because the shimmering effect of the blush can be a little over the top when we apply it too much. But honestly, my skin tone is tan and I find this color looks lovely on my cheek. But if you are not a shimmering kind of gal, I guess you would want to stay away from this blush. This blush comes in 2 colors, Petale and Coral. The one that I own is Petale . 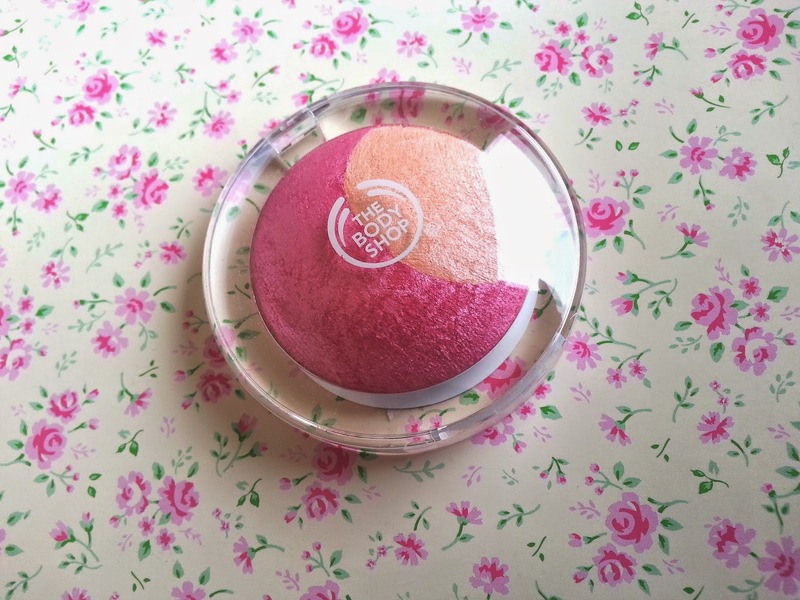 The price of The Body Shop Baked-To-Last Blush is IDR 249,000 on the counter, not cheap I would say. But If you have the budget and you are contemplating to get this blush or not, I would say go for it, it worth every penny! So have you tried this blush? Please share your thought about this product. This product was given to me as part of a goodie bag from Cosmekita event. This product is intended for review, all thoughts and opinions are my own. 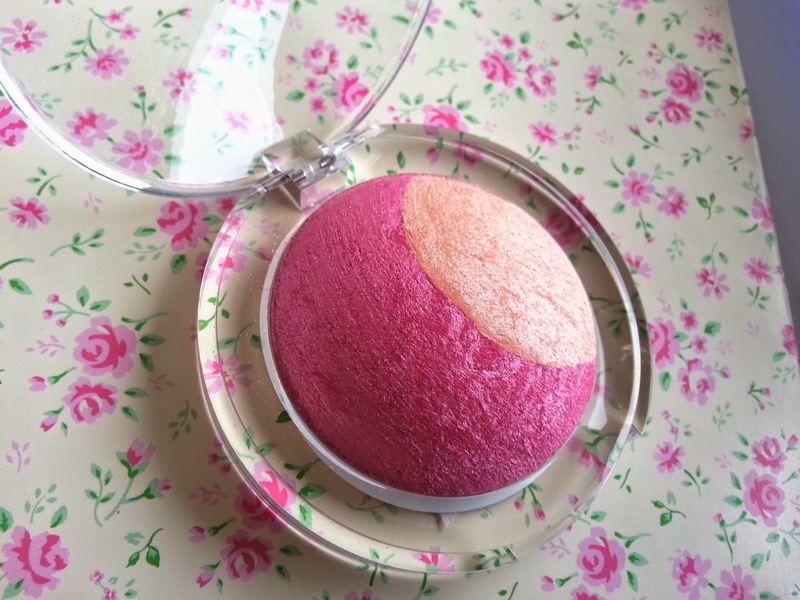 Warnanya manis^^.. Bisa tahan 8 jam beneran ya..
hahaha....yes I love this blush too! suka warnanya, ada dua gitu... kayaknya kalo TBS bisa buat esedo juga ya.